For hundreds – indeed, thousands – of years, people have been building their homes from brick and stone. And why not? As construction materials have been tried and tested over generations, brick and stone have become recognized as being the most effective and durable materials to use for long-lasting and beautiful construction. Naper Valley Masonry was founded in 1991 with this philosophy in mind, and with the sole purpose of establishing a resource for high-end custom brickwork and stonework. 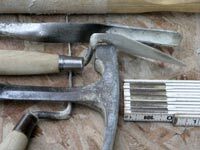 Based in the outlying Chicagoland area, Naper Valley Masonry has dedicated itself to providing customers with the utmost in quality service and construction. Contact us with your needs and we can provide you with a quote.